Doors won’t open for Miguel’s concert at the Greek Theater for hours, but there are already dozens of fans lined up at the security gates by 4:30 in the afternoon. The people waiting have all paid an extra fee on top of the ticket price for a pre-show meet-and-greet with the R&B star. He’ll spend two hours greeting and posing for selfies with each of them before he can begin his final pre-show preparations, but before all that starts, he gathers with an intimate group in a small room backstage to meditate. The room is set up with a circle of folding chairs on checkerboard linoleum around a coffee table filled with candles. Boxes the candle-holders came in have been piled on a ledge to the side; nobody I asked could confirm if they get packed up and taken to the next venue, or if the tour rider demands they be provided by the venue for this specific purpose. 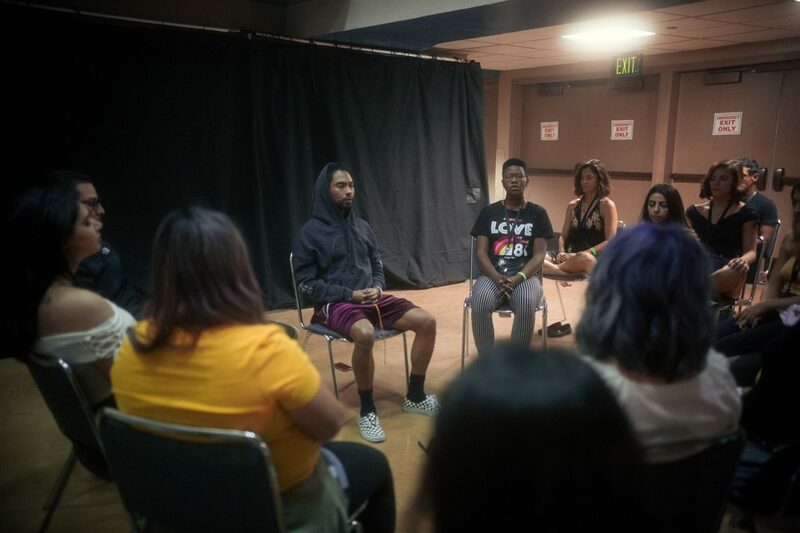 Amongst the group of ten people in the room are a couple of fans who have bought the Pineapple Skies VIP Upgrade package ($250) which includes sitting in on this meditation, but much of the group is made up of Miguel’s team and invited guests. Meditation and mindfulness are relatively new for Miguel. Not long ago, he went through a period in which he describes having felt “targeted by a lot of negativity” and was searching for a practice that could help him feel grounded. He remembered reading about The Beatles’ study of Transcendental Meditation in the 1960s. From there, he watched a TED Talk online from mindfulness expert Vishen Lakhiani, and found Lakhiani’s six-phase guided mediation on YouTube. Much of Miguel’s learning about meditation has been directed from his online reading and YouTube viewing so far, though he’s open to working with a teacher on a more regular basis, perhaps when he’s back home in L.A. for a while after this current tour. When he enters the room for the pre-show session, he greets each person individually–already projecting a vibe that seems pretty calm and centered for a man about to sing and dance for thousands of people–and sits down in the last open chair in the circle. He chats with the group a bit, and then plugs his cell phone into a small blue speaker, and puts them on the coffee table. As a group, we listen to his favorite Lakhiani medication recording. About 15 minutes in, he gets a text on the phone, seems to try to resist check it, and then gives in and reads the message before putting it back on the table. While some of the meditation group have paid to be there, Miguel assures us this is something he would be doing anyway, not a show just for the ticket buyers. 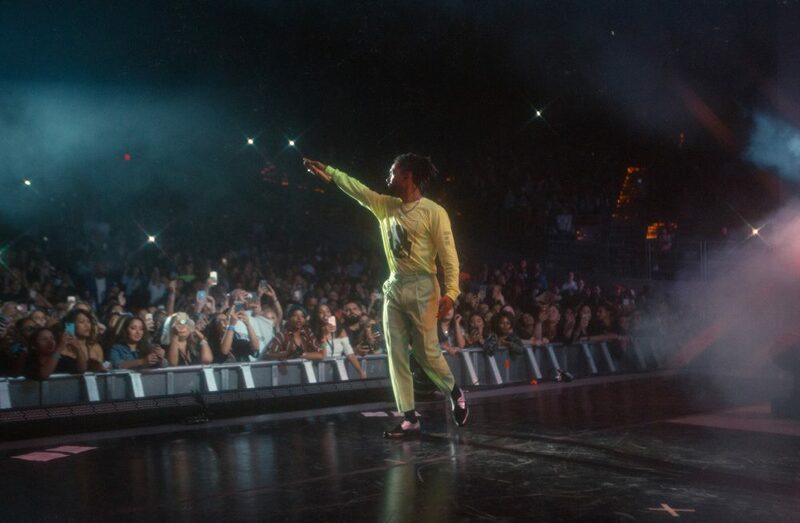 Miguel continues his tour through the end of the month. He plays the Santa Barbara Bowl on September 21, 2018; tickets are available online.